previous post: Hide Your Moms! OMG, such repost. Such nice. Such lovely grandma. Repost aside, gramma sounds available. What’s up flops? Take it easy, grandma just learned how to post to lamebook. We can look forward to more posts now. 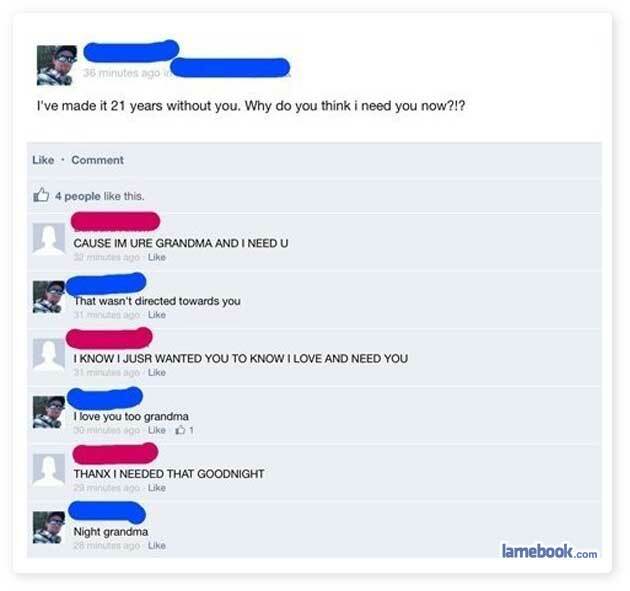 OR: He made up the gramma account and sent this to Lamebook repeatedly. He sounds desperate.